Entering the world of becoming a parent is an absolute whirlwind. You’ve been anticipating this child for at least the past nine months, and finally, they’re here. They have your nose, your partner’s ears, and the biggest eyes you’ve ever seen on a baby before. Your life changes immediately. There’s no such thing as easing into being a parent. One day, you’re living a life where you can sleep in as late as you please and not worry about keeping another human being alive. And then the very next day, you have a frail, tiny human, who is entirely dependent on you for every single aspect of their life. It can be very draining, especially as the holidays come around. 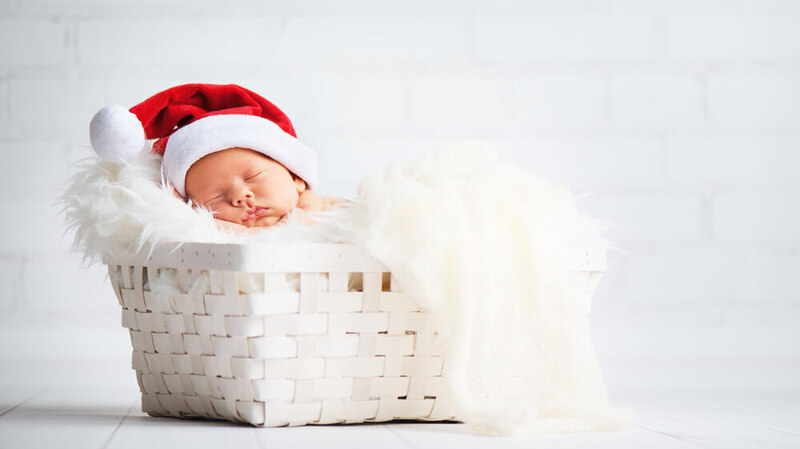 But you don’t have to let this dampen the wonderful experience that is the holidays as a new parent. One of the best parts about the holidays as a parent, is starting traditions with your children. You get to decide which traditions from your childhood, and from your partners, you want to pass on and continue doing with your own children. And you get to start new ones as well. 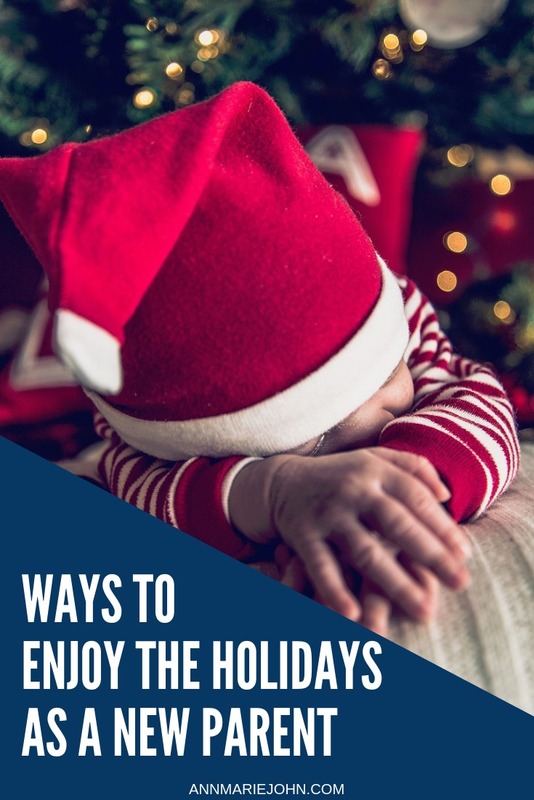 There are so many fun ideas for holiday traditions to try with your children. Try out a few this year, and do the ones you loved again next year. Swap out the ones you weren’t a fan of for new ones next year. It probably seems inevitable that you’ll take lots of pictures, but let that motivate you to take even more photos. These memories are ones that you’ll never be able to recreate or relive. Someday, you’ll miss the days when your child was just a baby, sleeping in your lap. You’ll miss every single stage, even the days when your toddler is flushing your makeup down the toilet and when your hormonal teenager storms around and slams the door. Someday, you’ll miss that. So take pictures. Remember everything. Take photos of their bedhead, of them sleeping by the Christmas tree, of you cuddling with them. You can never have too many images or too many memories to hold onto. When your children are incredibly young, gifts may seem unnecessary. Sure, your 4-month-old can’t open a present. But if you’re able to, giving them a gift is a wonderful way to start their first Christmas. 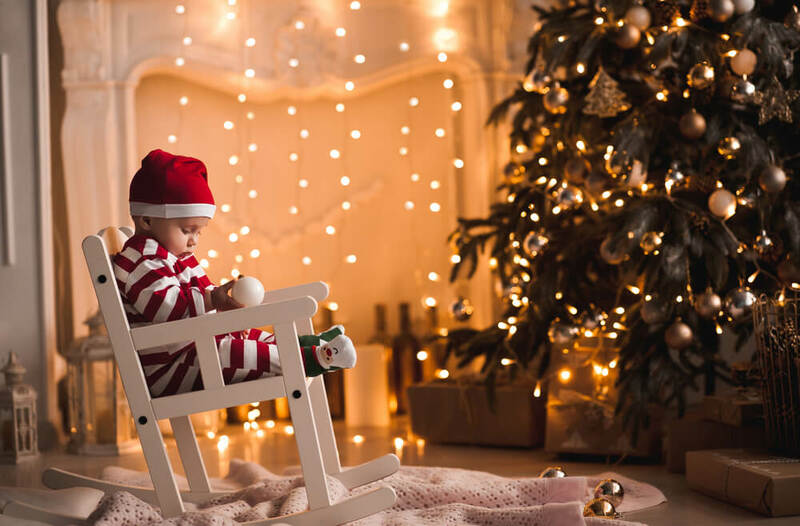 At this point, it’s more for you than it is for them, but giving gifts is a way of showing love and affection and your tiny child deserves that. 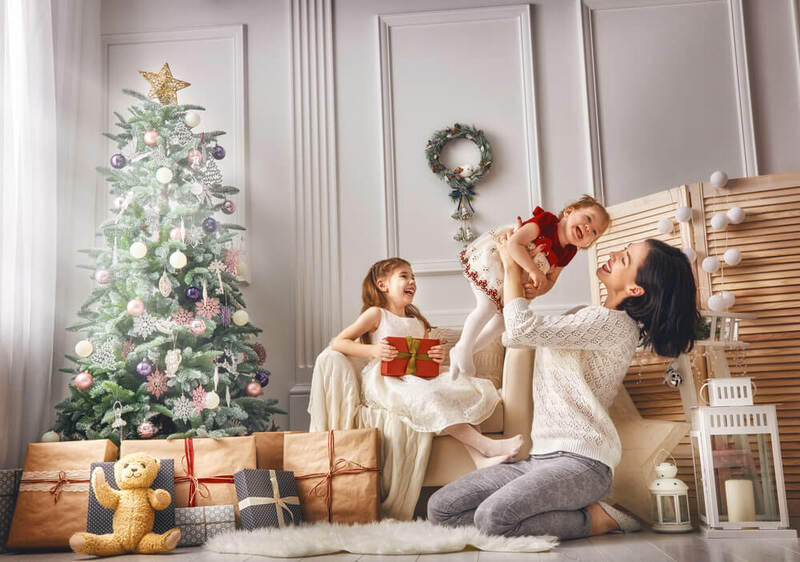 If you live close to family, and this is your first holiday season with a child, you may want to consider visiting family! This takes a lot of the pressure off of you of planning and decorating, and your family will love getting to ooh and ahh over the newest grandchild. It also means that there will be many willing pairs of hands to hold onto that beautiful baby so you can go take a shower or take a nap, without feeling guilty. It’s a win-win. These are years that you will cherish, and these memories will be distant before you know it. So even though being a parent is stressful and hard and honestly sometimes really confusing, try to enjoy these holidays as a new parent. And seriously, take so many photos.